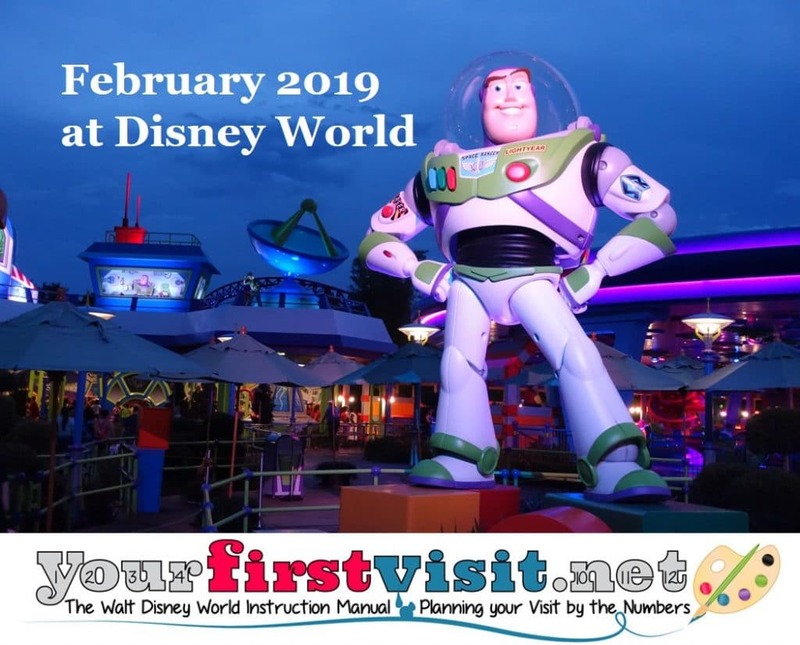 WHAT IS FEBRUARY LIKE AT DISNEY WORLD? Early February 2019 will have some of the lowest crowds and prices of the year, but also the risk of ride closures. 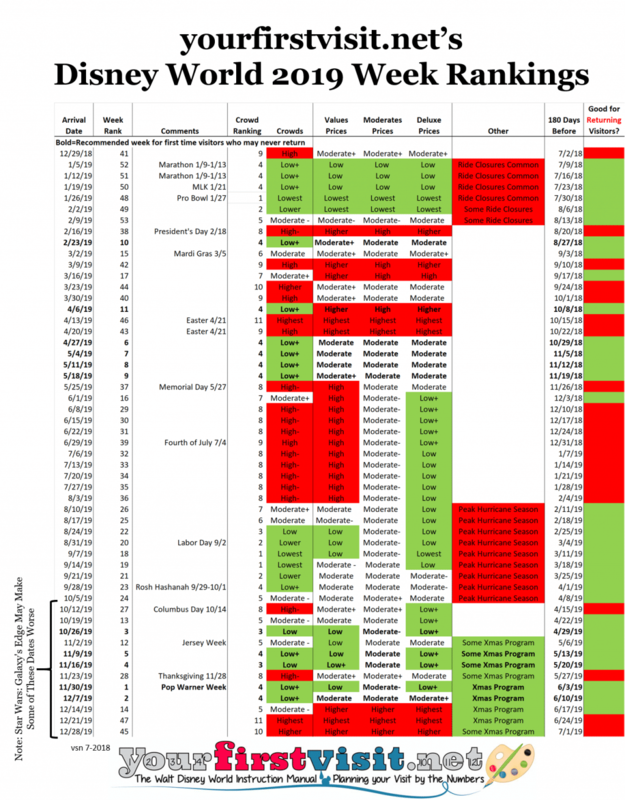 The end of the month brings slightly higher prices and crowds, but better weather and few closures. In between–in 2019, the period from Thursday the 14th through Saturday the 23rd–we will see high crowds and high prices. Earlier February typically is among the lowest crowd periods of the year. Crowds will settle down after the 23rd to low+ levels. On a crowd scale of 1-11, the week beginning 1/26 has a ranking of 1/lowest, 2/2 2/lower, 2/9 5/moderate- (lower at the beginning of the week, higher later), 2/16 8 high-minus (worse earlier in the week, better later) and 2/23 4/low+. Disney hotel prices begin the month as low as they get all year. On Thursday February 14 they kick up to 35-65% higher than the lowest of the year for the President’s Day weekend, dropping a bit (but not much) to Peka season levels on 2/18. On 2/24 prices drop to regular season levels–20-30% higher than the lowest of the year at the values, 20% higher at the moderates, and 20-25% higher at the deluxes, and stay at that level into early March. Deals for the general public are available for February 2019. Find them here. February Disney World weather is cooler and variable. 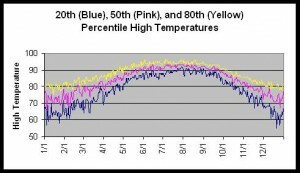 Typical temperatures warm up over the course of the month, but variability remains high. Cold or rainy days—not uncommon—are great for first time visitors, as they reduce the crowds in the parks and make the rides easier to see with low waits. Returning visitors looking for good days to lounge around the pool should not count on many. Tornadoes can be an issue during this period. See this. The The Epcot International Festival of the Arts will continue through February 25. Part will be open seven days a week, but some entertainment will be focused on Fridays-Mondays. It will add to World Showcase crowds in Epcot, especially on the weekends. 1/25/2019 Lowest prices. Lowest crowds. Crowd ranking=1. Week ranking=48. Use the Lower Crowd Itinerary. 2/2/2019 Lowest prices. Lower crowds. Crowd ranking=2. Week ranking=49. Use the Lower Crowd Itinerary. 2/9/2019 Moderate- prices. Moderate- crowds. Crowd ranking=5. Both crowds and prices are better earlier in the week, worse later. Week ranking=53. Use the Lower Crowd Itinerary. Sorry Dave, one more quick Q on this. On Feb 11 (Monday), Epcot has its’ Art Festival. Should that be avoided as well? (Similar to F&W). It’s their first visit with their 4yo daughter. 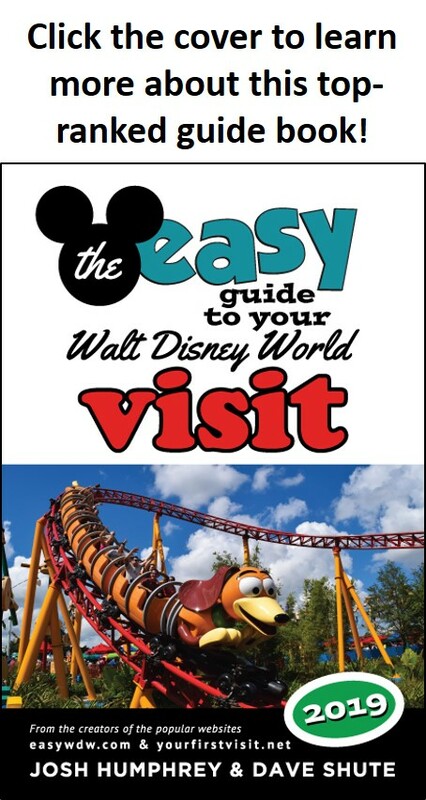 With the short stay, I suggested HS on the 11th and Epcot on the 13th, which is their last day. The concern is that Epcot might be a little bit of a let down for the final day. Does the festival have enough impact to avoid? Eric, the Festival of the Arts on Disney’s web page on it goes through Feb 25, which is different than what the calendar website shows. I think the website is wrong. We have a trip planned February 4-9. With the new pricing coming out next week, do you recommend getting tix now or waiting to see if the prices are lower next week since it’s a value time to go? Brittany, no one knows how tickets will be priced, nor what the actual seasons will be. That said, if I were you, I would buy my tix now. Hey Dave…going 2/18-2/23 suggestions on parks for the days/nights? Any other advice? Hey Michelle, that’s a busy week, especially early in the week. You might want to look at one of my itineraries (which don’t match your dates, so are just examples) for ideas on how to approach your days. See also this for some foundational concepts. How are the crowds looking for 2/23-3/2? Hi Kaylen, so far no reasons for any changes in the forecast. I commented on the January info too. We went to Disney 2-2-2/9 and the crowds were crazy. Super long lines. Definitely not what we experienced two years ago the same week or the year before that during the same week. Such a bummer, but the weather was beautiful, all high 70’s and 80’s.